By setting your compass to radius AB and swinging two arcs from Point A and point B, you will create point C.
Join point A to C and B to C. This will create an Equilateral triangle. When you swing the radius AB, the arcs will intersect in two places if you draw almost a full circle. 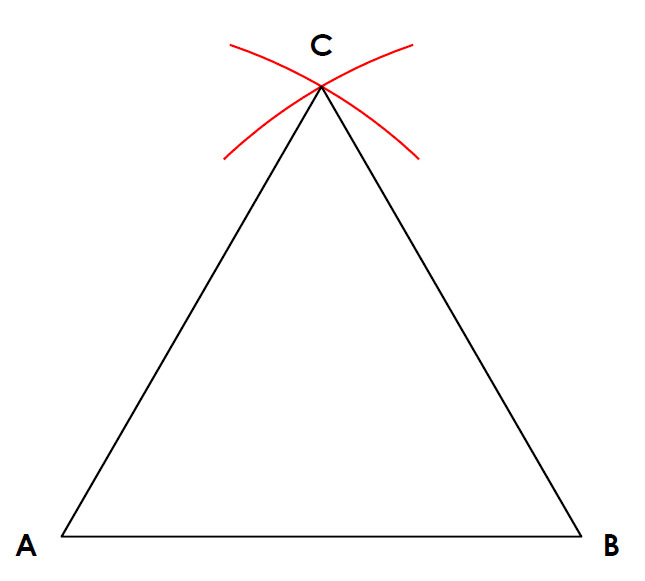 By joining A and B to either point of intersection will create an equilateral triangle. Also this principle of construction will work regardless of the size or angle of the line you start with.